Make you lights turn on every time you walk up to them. 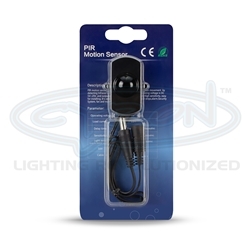 PIR motion sensor can detect human movement by detecting infrared rays emitted by human body. It is widely used for under cabinets, closets, safes, bookshelves, tool boxes and much more. It is a great alternative when there is no switched outlet to control the lights.